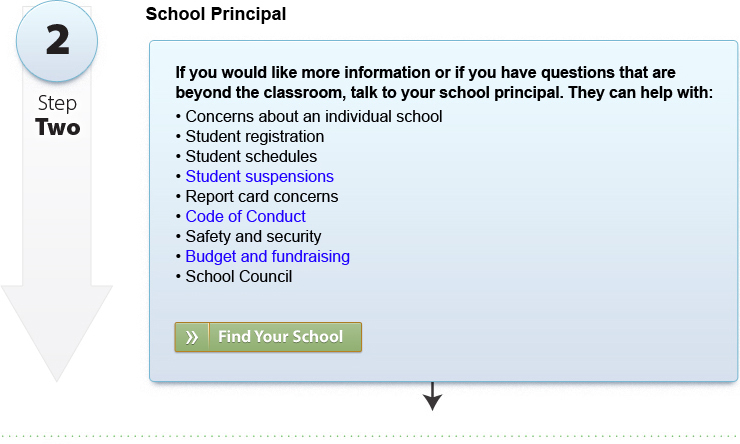 The TDSB wants to hear your questions and concerns, and makes every effort to address them as quickly as possible. Below is the best way to talk to us, and who you should reach out to and when. In any situation, your child’s classroom teacher is the first point of contact, followed by the school’s principal, the school superintendent and your Trustee.